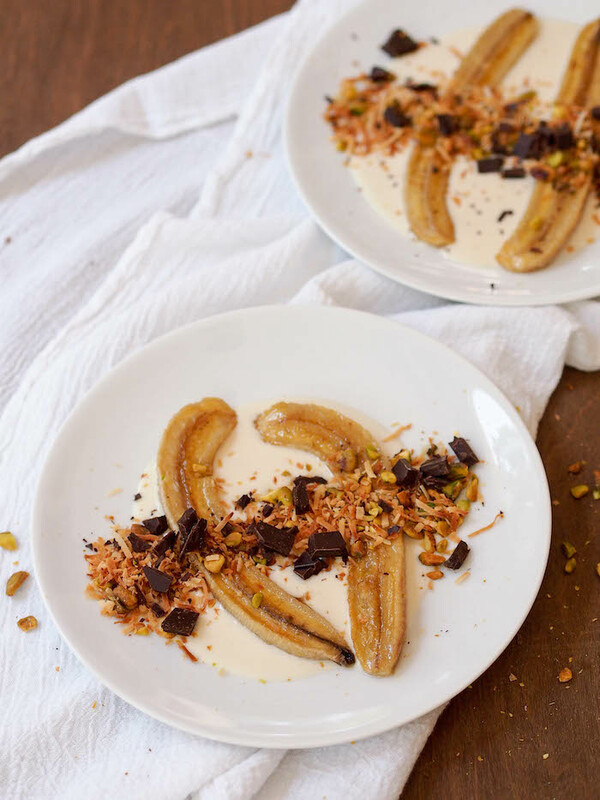 Sweet roasted bananas with salted coconut cream, dark chocolate and pistachios is the perfect gluten free and vegan dessert for summer entertaining. Fresh fruit as dessert has never been my style. Great for snacking, but as dessert? Nope, not gonna cut it. Whenever I read a nutrition article encouraging people to swap dessert for fruit, I literally want to jump through the screen and kick them in the kneecap. No. Just no. But when you roast aforementioned fresh fruit in honey, serve it over a lightly sweetened and sea salted coconut cream and garnish it with a crunchy mixture of dark chocolate chunks, toasted coconut and pistachios, then that is a fruit dessert I can get behind. If you're gonna do fruit as dessert, you probably want to take my advice and roast it first. Concentrating the natural sugar and adding a hint of caramelized flavor takes fruit from tasty snack to droolworthy. Sweet and creamy bananas are a perfect candidate. 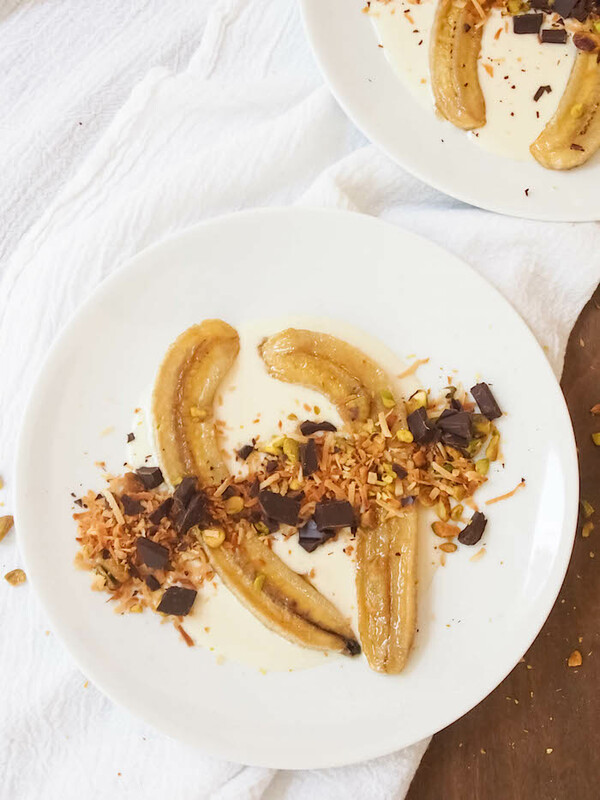 Bananas are a great way to enjoy a sweet and creamy dessert with less added sugar. 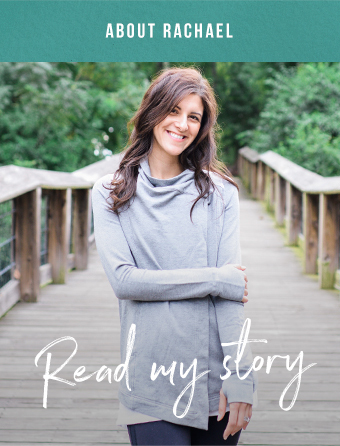 Dense in natural sugars with a creamy consistency, I use bananas to sweeten and replace fats and dairy in all sorts of desserts from cookies to ice cream to bars to milkshakes. In the nutrient department, they're adding a lot more than just potassium. Bananas contain sterols, a plant compound that's structurally similar to cholesterol, but actually blocks the absorption of cholesterol. They also pack a hefty dose of soluble fiber, a cholesterol lowering type of fiber. Bananas are great for digestion as well as they contain pectin, a type of prebiotic fiber that promotes the growth of beneficial bacteria. In one study, eating two bananas a day led to a significant increase of bifidobacterium, a friendly-type of bacteria often used in probiotics. Pectin content increases as bananas ripen, so enjoy those bananas when they're super spotty and sweet! In a small bowl, stir together coconut oil, honey and vanilla. Arrange bananas cut side up on a baking sheet. Brush with the coconut honey mixture. Place in the oven and roast 20 minutes until lightly golden and tender. While bananas are roasting, combine coconut milk, honey and vanilla in a small pot. Bring to a boil, reduce heat and simmer 10-15 minutes until thickened. Once slightly thickened, stir in sea salt to taste. I used about 1/4 teaspoon flaky sea salt. Remove from heat and set aside to cool. Spoon some of the salted coconut sauce into the middle of a dessert plate. Top with two roasted banana halves. 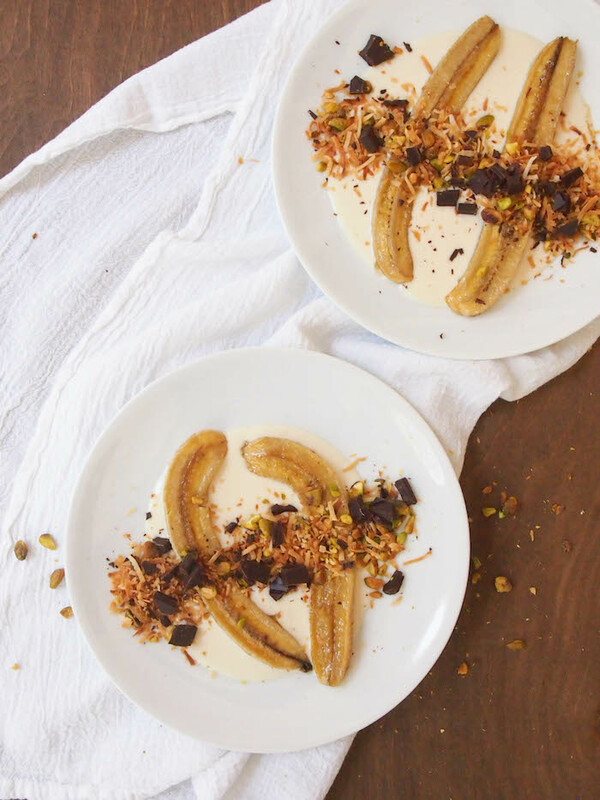 Garnish decoratively with pistachios, dark chocolate and coconut.